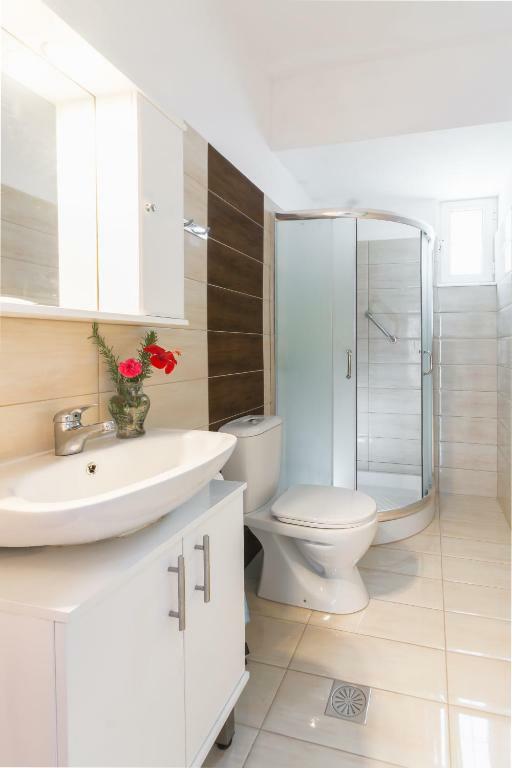 Very friendly hosts, comfortable and extraordinarily clean housing, in comparison to other similar apartments very good wifi connection and overall quality of furnishings, good location and a wonderful place. Comes with a big balcony and a garden. Very helpful and kind family. Next to the beach, calm, comfortable and clean place. Good experience. 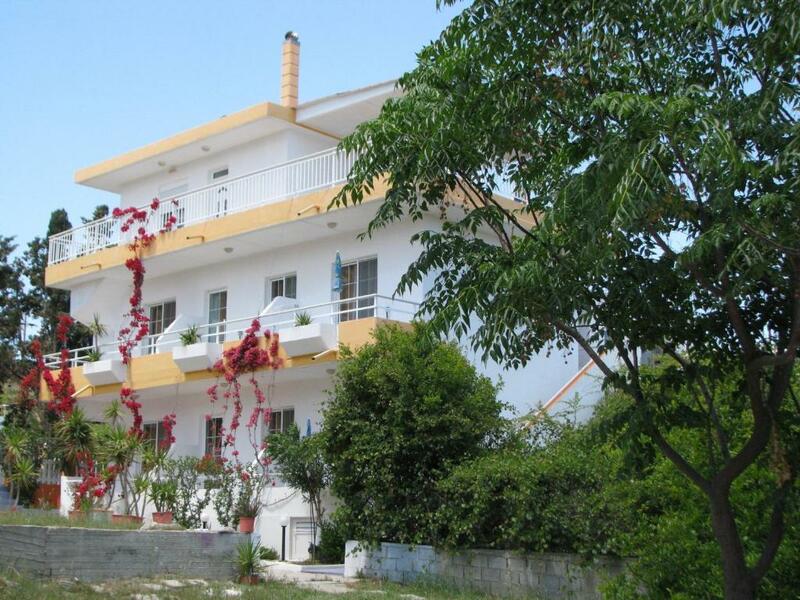 Amount of space; excellent kitchen facilities; great balcony; friendly, helpful owners and a great welcome. Very kind host, nice studio with plenty of space, terrace in front and at the back of the studio. Cleaning was made every day, bed sheets and towels changed regularly. Location is literally two steps from the beach, supermarket and restaurants. Location a few meters to the quiet coarse sand beach . Small supermarkets and restaurants are available. Desired car to see other places. The floors are clean and bed linen is changed. Great apartment! well-equipped kitchen, a great oven for baking fresh fish and other dishes, outdoor balcony for relaxing, and of course hospitable and caring hosts! Regular room cleaning, cleanliness and comfort. Close to a beautiful beach. Recommend for a quiet, relaxing break from the bustle of the city! Thanks a lot! Jack was an excellent host. He picked us from the center and shows us what we need. The room was cleaned every day. The place is nearby the beach and supermarket. My husband got sick and the owner were very kind and helpful. They let us stay longer the day of departure. The apartments are extremely nice and clean. The location is 1 min from beach but not on main road. Supermarket is next door. You can cook almost as at home and everything is new! The air conditioning is working very well. 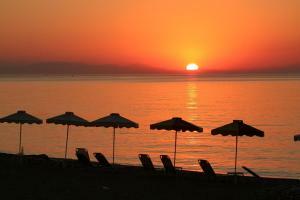 I will recommend the facility for anyone who wish to relax, have good food and a more typical atmosphere than Faliraki! On the beach the sun beds are only 7 euros and the sea is great! 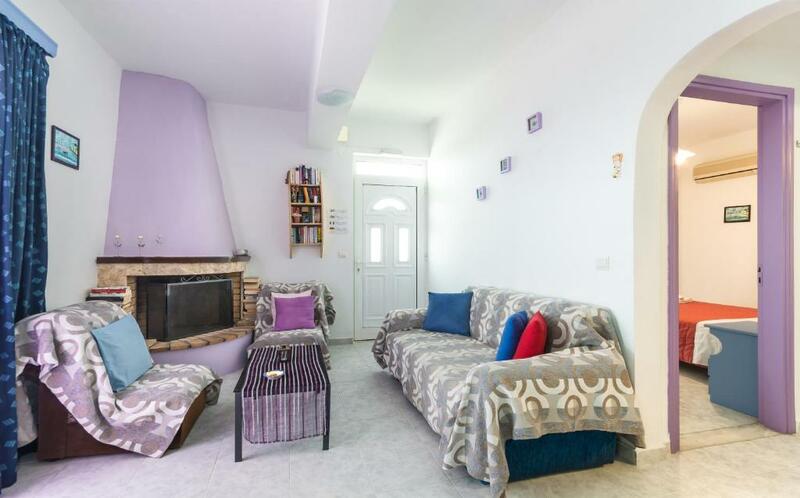 Lock in a great price for Salora Studio-Apartments – rated 9.1 by recent guests! One of our top picks in Archangelos.Situated just 250 feet from Stegna Beach and surrounded by local amenities, Salora Studio-Apartments offer comfortable self-catering accommodations with private balconies and free wireless internet access. Salora Studio Apartments have a relaxed and friendly atmosphere, perfect for a family vacation. Relax and watch satellite TV or check your email with the free wireless internet access. Prepare meals in your fully equipped kitchenette. 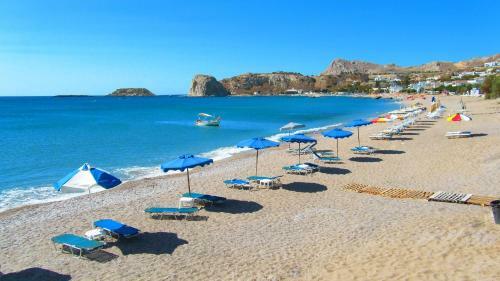 Admire the great views of the beach and Archangelos from Saloras terrace. Enjoy the short stroll to the quiet sandy beach. Visit one of the local taverns and restaurants or join in with the water sport activities. There is also a mini market nearby for all your shopping needs. The center of Archangelos is just 2 miles away from Salora Apartments. 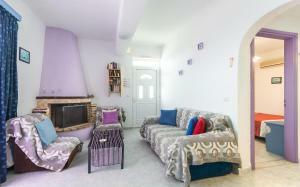 When would you like to stay at Salora Studio-Apartments? Opening to a balcony with garden or sea views, this air-conditioned studio includes aTV with satellite channels and kitchenette. Air-conditioned apartment with satellite TV, fridge and balcony. The property is not famous of its luxury, but everything was built with care and love according to the modern standards,sound,and heat. 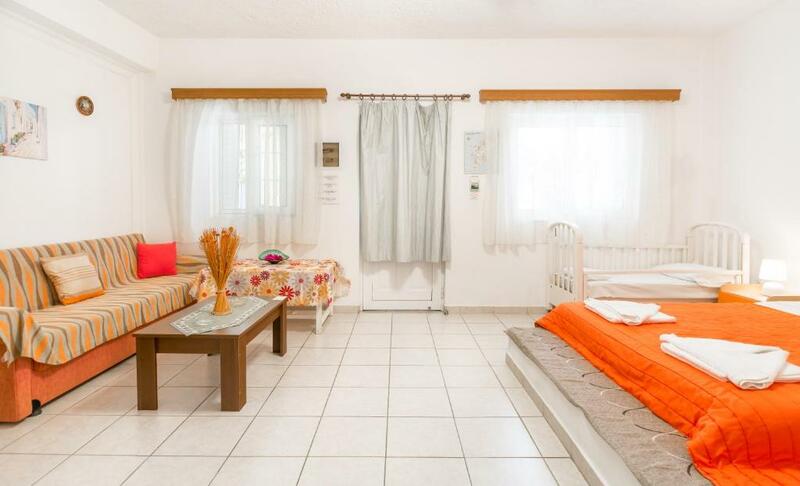 All doors and windows are with net ,those who are sensitive in air condition can use ceiling fan.,kitchen is fully equipped tv-sat progams in your language,fast wifi in your room, big yard with flowers that leads to the beach in less than a minute walking. 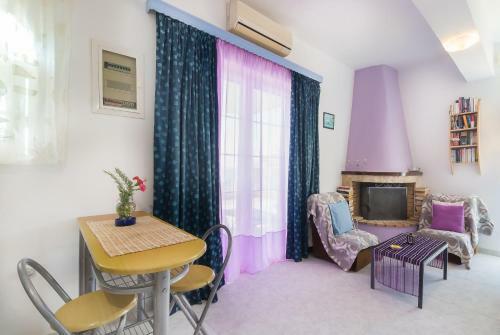 40 meters from the mini market and 80 meters from the bus station. But the most important is the diffused family atmosphere. House Rules Salora Studio-Apartments takes special requests – add in the next step! Guests may print their boarding passes at the property. There is a variety of international satellite channels in all accommodations types. Please inform Salora Studio-Apartments of your expected arrival time in advance. You can use the Special Requests box when booking, or contact the property directly using the contact details in your confirmation. Everything was fine! Nothing to complain whatsoever. None. All was fine for this price. Internet was a little bit poor and there was no 3G there in Stegna Beach. No aircon in 2nd bedroom - very hot & stuffy at night. There is little space in the studio if you want to cook. It is desirable to pay more attention to repairing communications. Defective shower. The air conditioner could have been more powerful. The rooms were spotlessly clean and air conditioned. The location was perfect, just a short stroll from a beautiful sandy beach, mini market, shops and restaurants. Stegna is a great location to stay being in the middle of the island, it is easy to explore Rhodes town, Lindos and the west coast. Car hire, scooter hire and boat hire can all be found in Stegna. It has everything without being crowded. Mosquitos! I still can not understand how those beasts got in the flat, but we were facing them every night. Till there death. Very friendly host, clean, quite and comfortable appartment. One minute walk from the sea. We realy enjoyed staying there. Thank you, Jack! Jack was very friendly and helpful.